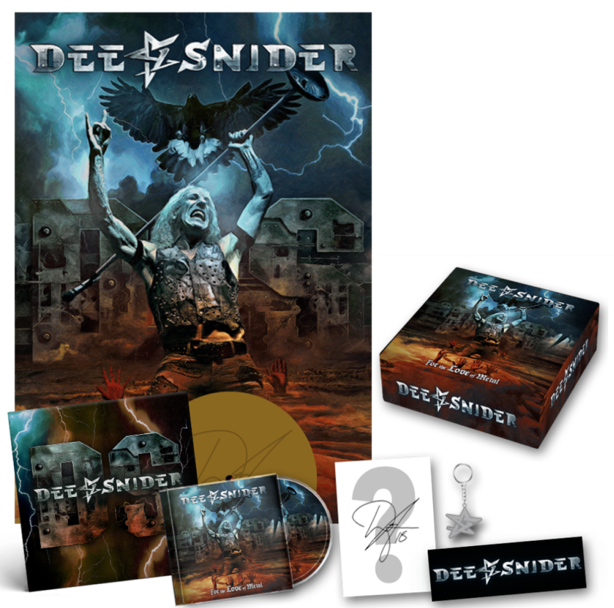 DEE SNIDER released his critically acclaimed and metal radio topping new album For The Love Of Metal on July 27 via Napalm Records. Today unleashes his brand new music video for the track “American Made“. SNIDER speaks about the meaning behind the song, “I was watching the Olympics and couldn’t help but notice that no matter how ‘at each other’s throats’ we all appear to be politically these days, amazingly we are all unified when it comes to our country against another. It made me realize that countries are like dysfunctional families: we may argue and fight amongst each other (You should have seen the extended Snider family Christmas this year. People literally almost came to blows. On Christmas!? ), but should someone dare attack any one of us and the entire family will band together against the aggressor. This goes for all countries. This song is a song on unification – recognizing that there is a very important something we all share and should be proud of: where we are from. For The Love Of Metal was produced by Hatebreed vocalist Jamey Jasta and features contributions from Howard Jones (ex-Killswitch Engage), Mark Morton (Lamb Of God), Alissa White-Gluz (Arch Enemy), Joel Grind and Nick Bellmore (Toxic Holocaust) and Charlie Bellmore (Kingdom Of Sorrow). Order For The Love Of Metal HERE! Watch DEE SNIDER’s Lyric Video For “I Am The Hurricane” HERE! Watch DEE SNIDER’s Lyric Video for “Tomorrow’s No Concern” HERE!